A Japanese developer could obtain valuable know-how from a unique project combining PV, wind and storage in Australia. In late October, Eurus Energy Holdings emerged as a joint venture partner with Windlab in the first phase of a major renewable energy project planned for Hughenden, north Queensland. The AUD $120 million (USD $91 million) Kennedy Energy Park, part of a proposed 1.2-gigawatt generation center called Big Kennedy, will combine a 19.2-megawatt PV plant with a 21.6-megawatt wind farm and 2 megawatts/4 megawatt-hours of battery storage. When complete, Big Kennedy will have 600 megawatts each of solar PV and wind capacity. “It's possible that Eurus Energy hopes to gain key insights into the potential of renewables-plus-storage projects and apply these lessons in its home market [of Japan],” said Brett Simon, an energy storage analyst with GTM Research. The project will also have “the potential for multiple storage options such as large-scale battery and regional pumped hydro storage,” according to a press release from the Australian Renewable Energy Agency (ARENA). ARENA CEO Ivor Frischknecht said the proposed scale of Big Kennedy is comparable to large coal-fired plants in Queensland, like Tarong or Stanwell. “Big Kennedy could meet most of Northern Australia’s growing demand for electricity and provide as much as 20 percent of new build capacity for Australia’s 2020 renewable energy target,” he said in a press release. It is unclear whether Eurus and Windlab will be awarded the full contract for Big Kennedy, but Windlab indicated that they may play a role in the second stage of the project. GTM Research's Simon said that Eurus, which is already collaborating with Windlab on a wind farm in Coonooer Bridge, Victoria, would likely be looking to use the project as a test bed for future projects elsewhere, including in Japan. “Japan's involvement is interesting, especially considering the recently unveiled plan for the Asian Super Grid, which doesn't include Australia but boasts Japan as a key member,” he said. Eurus, which is owned by the Toyota Tsusho Corporation and Tokyo Electric Power Company, has said nothing of its plans for Japan. Instead, Eurus’ President and CEO, Hideyuki Inazumi, used the Kennedy announcement to underscore the company’s focus on the Australian market. “Our participation in the development of Kennedy demonstrates our continuing commitment to the Australian renewable energy market,” he said. 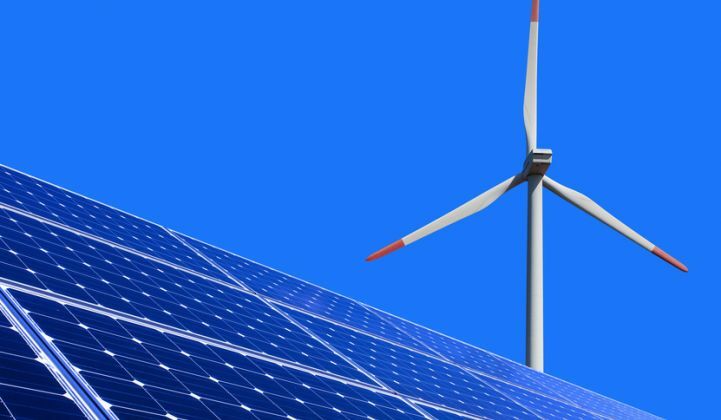 Australia seems like a good place for the company to pick up experience with the integration of different types of renewable energy in a single plant. ARENA, which has committed AUD $18 million ($19 million) in grant funding to the Kennedy Energy Park project, has also supported other recent integration projects. In July, for example, the agency offered AUD $9.9 million ($7.5 million) toward a project combining a 10-megawatt PV plant with an existing wind farm at Gullen Range, near Canberra. 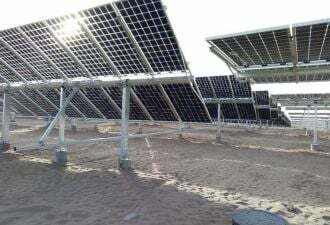 ARENA said locating the solar plant alongside the wind farm would yield a 20 percent reduction in costs by allowing the PV project to take advantage of existing grid connections, approvals and site development work. And in August, the agency announced backing for another “world-leading” project, combining a 10.8-megawatt solar plant with 1.4 megawatts and 5.3 megawatt-hours of lithium-ion battery storage near the town of Lakeland, north Queensland.